... 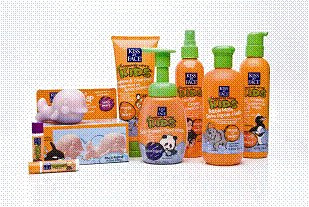 The kids’ collection from Kiss My Face offers products free of artificial colors, fragrances, parabens and SLS, and boasting natural ingredients such as Organic Green Tea Extract to protect against sun damage, Nettle Extract to stimulate hair growth and improve the condition of the scalp and Tea Tree Oil to kill germs. The mineral based sunscreen stick is perfect for on the go. ... I love when I meet a kindred spirit! And, recently I got to make a new friend who also dabbles in this whole blogging world. Hailey has put together a very cool blog that offers all sorts of tips and hints and musings that will add a little spring in your step, or organization to your home. ... Okay, keeping it real here -- I love each year that passes in my motherhood journey. I love that I get to walk this road, and love that I am watching these little souls grow before my very eyes. BUT, I do not love the evidence of those passing years on my body and face. I know it is part of this crazy life, but I am just being real here. What I do love is a great skin care product that you can feel working on your skin. The Silica Mud Mask from Blue Lagoon is a new fave! It's fragrance free and color free, and the pure white geothermal mud deep cleanses, exfoliates and naturally strengthens skin. ... We love these heart-shaped madeline cookies made by Donsuemor. They are a perfect little Valentine's Day treat for someone you love. The gift box features both chocolate and vanilla cookies that are hand-dipped in white chocolate or dark chocolate. The only problem is you won't be able to stop after one! ... In case you are looking for a little Valentine's craftiness for your kiddos to go with the tasty Valentine's treats, this project from good ol' Martha looks super fab. 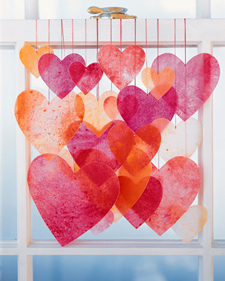 Have you got any Valentine's treats or craft ideas to share with us?